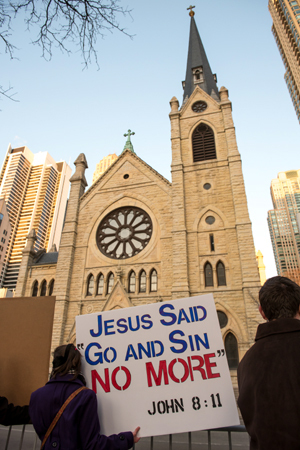 Catholics Pray Outside Cathedral Where Controversial Jesuit Speaks in Chicago, Ill.
Nearly 200 Catholics prayed across from Holy Name Cathedral in Chicago on March 22, where Father James Martin, S.J. gave a Lenten talk. The invitation to speak caused an uproar since the outspoken Jesuit priest is an open and active promoter of pro-homosexual issues. He has been banned from speaking at several Catholic venues. 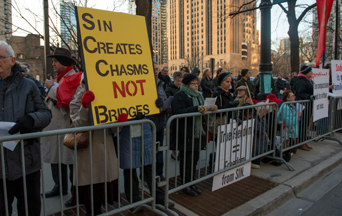 The protesters across from the cathedral braved the frigid weather to gather and pray a rosary of reparation in the Windy City in the hour before Fr. Martin talked. The rally of reparation was organized by the American Society for the Defense of Tradition, Family and Property (TFP). Over 7,500 concerned Catholics had signed an online TFP petition to protest and make reparation for the scheduled talk. The controversial priest was invited to speak by Blase Cardinal Cupich, Archbishop of Chicago. Father Martin is the author of Building a Bridge: How the Catholic Church and the LGBT Community Can Enter into a Relationship of Respect, Compassion, and Sensitivity. TFP members handed out a flyer titled “Are LGBT People Other Christs?” The pamphlet reviewed Father Martin’s book and took issue with his comparing the exclusion and anxiety of LGBT people to the persecution, Passion and Death of Our Lord Jesus Christ. The overall tone of the rally was one of reparation and indignation for what was being allowed in Holy Name Cathedral. Those present prayed rosaries and sang hymns. People came from all over the city and even as far as Milwaukee. All were perplexed by the invitation of a priest who is an open promoter of many issues which clash with Catholic morality. Protest from faithful Catholics also led to the cancellation of his talk at Our Lady of Lourdes parish in Whitehouse, New Jersey on February 15. This entry was posted in Catholic Perspective, Events of 2018, Fighting the Culture War, Traditional Marriage Crusade and tagged Building a Bridge, Cardinal Cupich, Catholic, Catholic Church, Chicago, Church, Father Martin, Fr. 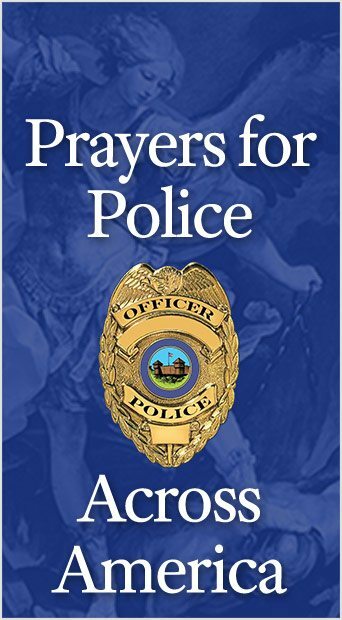 James Martin S.J., Holy Name Cathedral, homosexual ideology, homosexuality, James Martin, LGBT movement, online protest, pray, protest rally, public prayer, Public Square Rosary Rally, reparation, sin, vice by William Gossett. Bookmark the permalink.